Ever Seen Yourself in Brick? PicToBrick is one of several programs available to aid a user in converting a picture into a size and color system that works with LEGO bricks. I’ve tried the program, but haven’t cared for it too much, so I thought that a workshop with a live person showing the program would be helpful. On the one hand, I was encouraged that a lot of the problems I’ve encountered with PicToBrick are things that David mentioned as shortcomings of the program. So, while I’m a little less worried that I’m “missing out” by not using the program exclusively, I am willing to give it some further use. 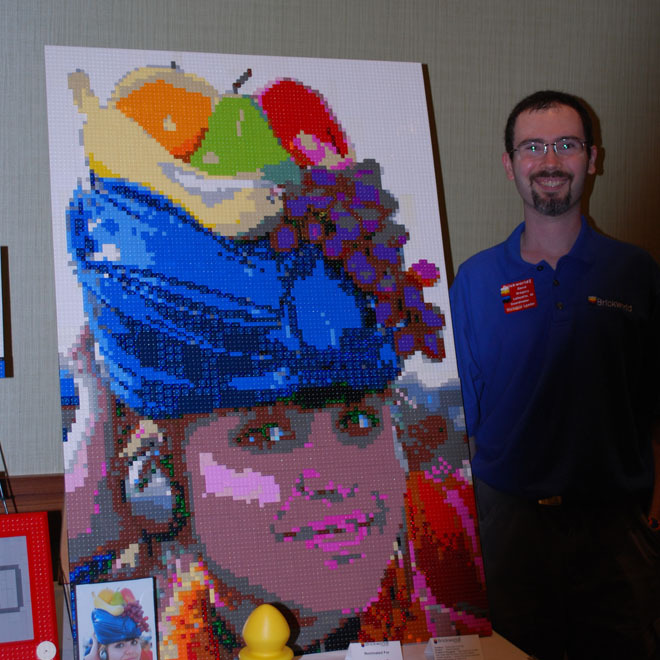 Either way, I still think that Sean Kenney’s typical approach to building portraits out of LEGO (by hand, without the use of PicToBrick) is superior to any effort relying solely on software, and I’d like to continue that discipline as well. 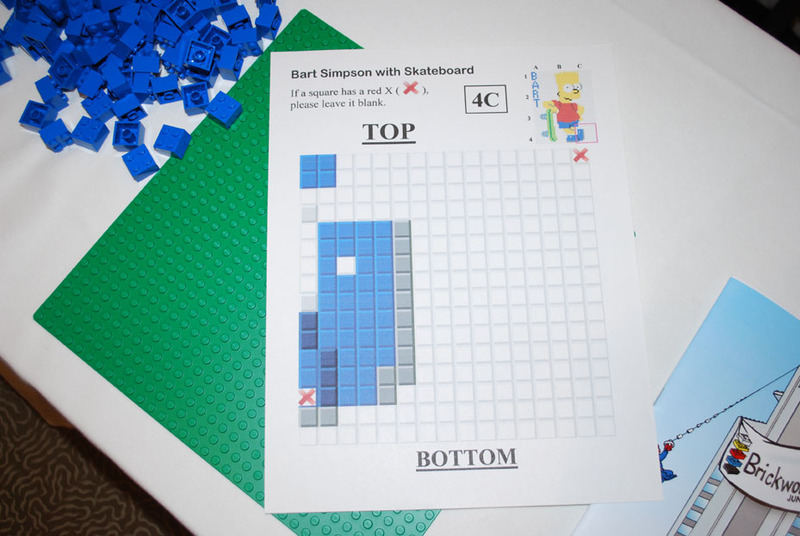 For the hands on part we built a 3×4 baseplate version of Bart Simpson. We split into 12 groups and David gave each group a diagram. We worked with 2×2 bricks, so it was much easier than starting with 1×1’s. David said that this is a project that is great for school kids. They can each work on their part of the mosaic, and then put the whole thing together at the end. All in all it was a great session and it gave me a lot of great ideas. Thanks David! © 2019 Duckingham Design. All Rights Reserved.